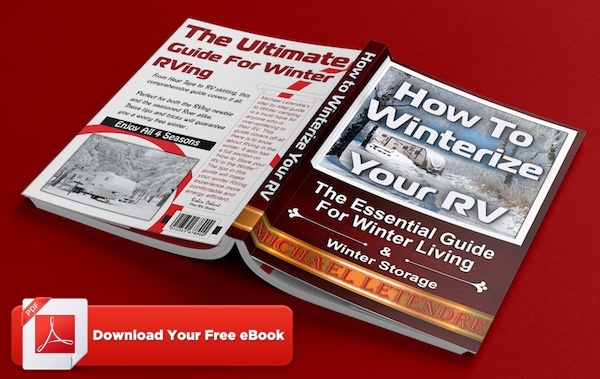 One of the most effective ways to keep your RV from the cold winter winds is RV Skirting. 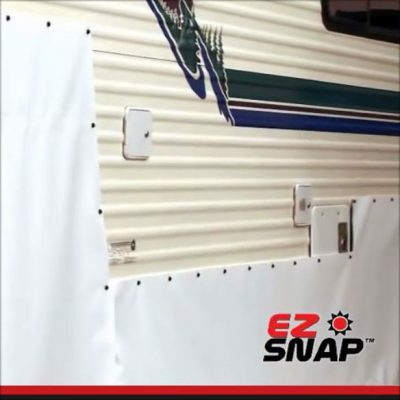 RV skirting provides a barrier between the elements and the area below your RV. 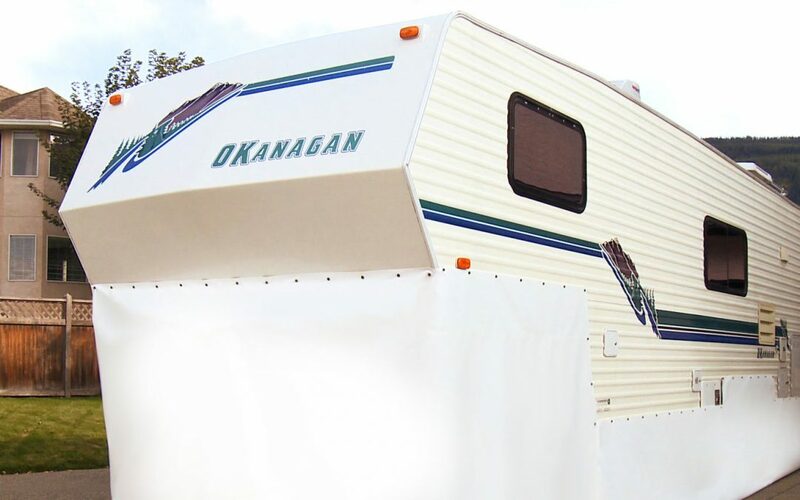 The skirting helps contain warm air below your RV, as well as blocking out the cold winter winds. After you have skirted in your RV, or motorhome you may want to consider a way of providing extra heat to the area under your RV. In warmer climates, something as simple as a light bulb can provide enough heat to keep the temperature above freezing. In colder climates, you may want to place an electric heater in this space. Always, be sure that there is no risk of a fire starting with your heating methods. If you have exposed plumbing, you may want to consider wrapping them with electric heat tape to further prevent against freezing. Another method of increasing your protection against the cold is to place rigid Styrofoam insulation around the area that you are planning to skirt and then installing the RV skirting. The RV skirting covers up and hides the insulation and also creates a further barrier from the cold air. 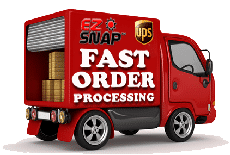 Typically adding RV skirting to your motorhome or fifth wheel involves having to hire an upholstery firm to custom make an RV skirting for you. We now have an RV skirting and fifth wheel skirting installation video available on our site that will give you step by step instructions on how to install your own RV Skirting.